Most cash-strapped college students will agree that the best kind of food is cheap food. So when they’re in a pinch and not at all worried about the nutritional value of their meals, they’ll often turn to a longtime staple of the collegiate culinary scene: ramen noodles. Ramen has for years been one of the cheapest food options available to consumers, with a single package typically valued at less than 50 cents. This has made the many varieties of ramen a sort of go-to for college students who need to save up their money to spend on things deemed more important than fulfilling their basic need for sustenance. The trouble with typical ramen noodle soups – aside from their enormously high sodium content and egregious lack of essential nutrients – is that no matter which “flavor” of ramen you choose to ingest, they all taste pretty much the same. And after eating the same salty noodles for three meals a day for a couple weeks, I think that anyone would be willing to swear off all forms of pasta for the rest of eternity. So what can students do to add some flavor to their meals while keeping their shopping bills low? 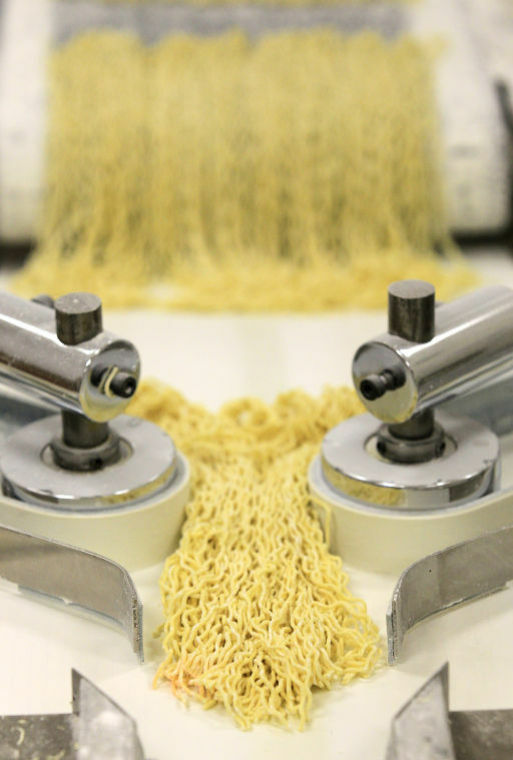 Well, the Copy Chef is back with a few ideas to make ramen a flavorful collegiate delicacy. The simplest alternative to eating plain ramen noodles is to turn up the nutritional value by adding vegetables to the soup. Start by boiling your favorite vegetables – I’d recommend broccoli, carrots, celery and other typical soup veggies – until they are about half-cooked. Then add the Ramen noodles and the enclosed seasoning packet to the water and stir together until everything is fully cooked and the flavors have had time to meld. You can similarly add sliced, cooked chicken breast, scrambled eggs or grated cheese toward the end of the process to add some protein and flavor. Though you might have to shell out some cash for chicken or cheese, the eggs and vegetables should all be pretty easy on your wallet. Another option is to remove the soup broth from the equation. You can combine drained and chilled boiled noodles with cucumbers, tomatoes, sesame seeds and a splash of both white vinegar and sesame oil to create an Asian-inspired cold noodle salad. If you’re the type who enjoys a spicy kick, try hitting the dish with some crushed red pepper flakes or Sriracha sauce for extra flavor. Meat lovers will be happy to know that ramen noodles can be used to create dishes mimicking expensive Hamburger Helper meals. To do so, just brown some ground meat in a pan and add cooked broken noodles, taco seasoning, shredded lettuce, diced tomatoes and cheese. Stir everything together, wait for the cheese to melt and top with crushed tortilla chips to complete a cheesy taco pasta recipe. You’ll need to shell out a bit of cash for the ground beef, but the dish is so large that you should have enough last a few meals. As you can see, this bland college staple is surprisingly versatile. Ramen works as a replacement for cooked pasta in nearly any dish you can think of, and some people even use the noodles uncooked to add crunch to a dish – think along the lines of those crunchy fried onions on top of string bean casseroles. The possibilities can go just about as far as your imagination, and both your wallet and your taste buds will thank you for getting creative. If you have a bizarrely delicious ramen recipe, share it with Pat at tpncopydesk@gmail.com.